Chinese scientists shed light on the meteorological conditions responsible for the rate of icing growth on electric power transmission lines. 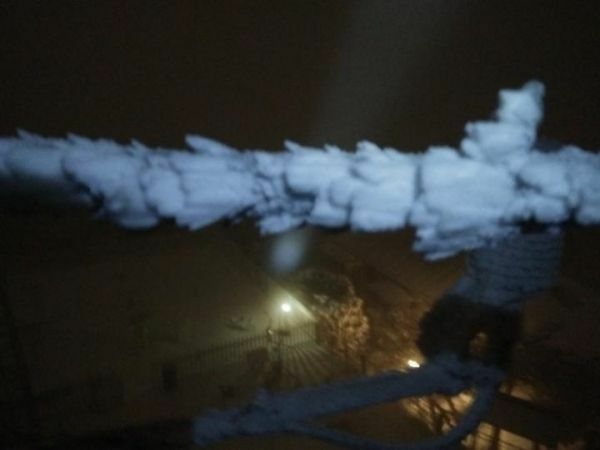 Chinese scientists shed light on the meteorological conditions responsible for the rate of icing growth on electric power transmission lines. Having a clearer understanding of what promotes icing on transmission lines during cold surges can help us better forecast and mitigate against crippling power outages caused by these events. Their findings were published on Nov 18, 2018 in Advances in Atmospheric Sciences. "Wire icing can significantly impair the normal functioning of electric power transmission lines, negatively impacting productivity and everyday life," says Shengjie Niu, professor at the School of Atmospheric Physics, Nanjing University of Information Science & Technology, and corresponding author of the paper. The impact of power outages resulting from transmission wire icing can disrupt business activity and have other negative spinoffs. For example, "from January to February in 2008, four large-scale freezing rain and snow weather events in southern China caused huge economic losses, causing widespread concern in the research community" explains Professor Niu.